Finding a good plumbing, air conditioning, and heating company in Kearny, NJ can be hard to find. Rite Rate is the solution as we do plumbing, air conditioning, and heating repair, replacements, and installations. We also specialize in providing top of the line services that guarantee 100% customer satisfaction. The plumbing supply pipes from our company are of excellent quality made from copper, steel, and plastic. We do timely on-site installation, replacement, and repair of broken pipes, drain and sewer cleaning, as well as sump pump services. You can choose from a variety of these plumbing services and we are always ready to give you the best at affordable prices. Our team of dedicated plumbers is dependable and fully licensed and certified. The most important thing is to have a steady supply of hot water without interruptions, so in our model, we provide a built-in set of water heating options for hot water. We also install water heaters which use a furnace to heat up water. Do you need a reliable air conditioning company in Kearny, NJ? Rite Rate is affordable and specializes in air conditioning repair, replacement, and installation. We can service any make and model of air conditioners including packaged air, central air conditioning, forced air, heat pumps, and much more! 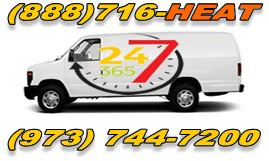 At Rite Rate, we know how heating systems can fail during the worst of times, so we make sure to provide you with 24/7 emergency heating repair in Kearny, NJ! Our technicians will repair, replace, and install all makes and models of heaters to ensure you’re kept warm during winter. Let Rite Rate be your go-to residential and commercial heating company in Kearny, NJ! We always make sure our customers are completely satisfied with our work before accepting payment. Our plumbers and technicians strive to make sure your home or business is comfortable and working efficiently. No matter what your home improvement needs are, Rite Rate is your go-to plumbing, heating, and air conditioning company in Kearny, NJ.